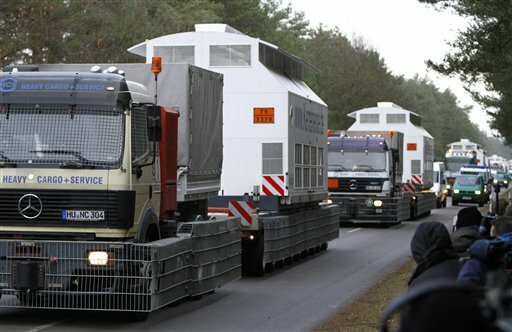 DANNENBERG, Germany (AP) — A shipment of nuclear waste from France reached a storage facility in northwestern Germany on Tuesday after police worked through the night to clear a road blockade by over 3,000 protesters. 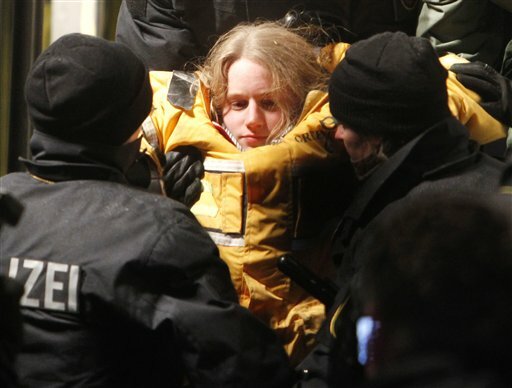 For nearly four days, anti–nuclear protesters have rappelled from bridges, undermined roads, and formed human shields across the shipment's route in an attempt to slow it down. A shepherdess even herded 500 sheep and some 60 goats across the road Monday between Dannenberg — where the shipment was offloaded from train cars onto trucks — and Gorleben in a bid to slow it down. 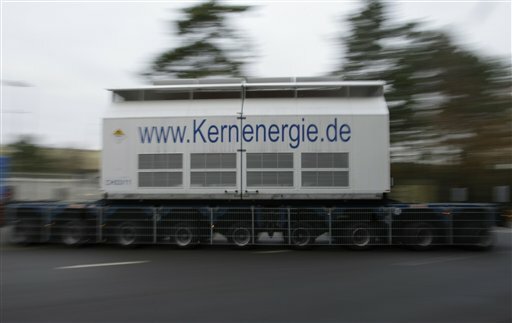 The German nuclear waste, which is reprocessed in France, set off by train Friday on a 930–mile (1,500 kilometer) journey from Valognes to Gorleben. The trip took 92 hours — making this the slowest journey the regular transport has ever taken, after a 79–hour trip in 2008. 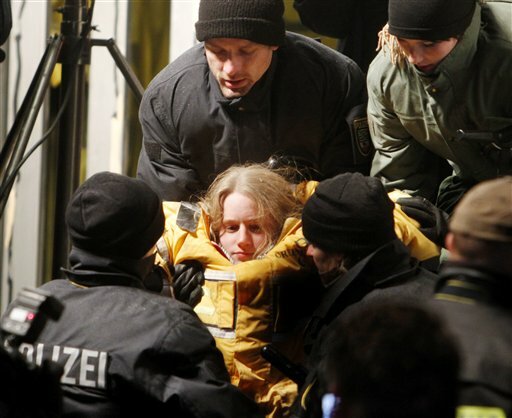 Some 20,000 German police sporadically clashed with demonstrators to secure the transport route although the protests remained largely peaceful. 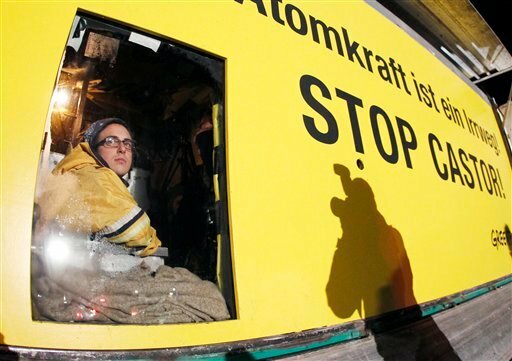 Nuclear energy has been unpopular in Germany since fallout from the 1986 Chernobyl disaster in Ukraine drifted over the country. 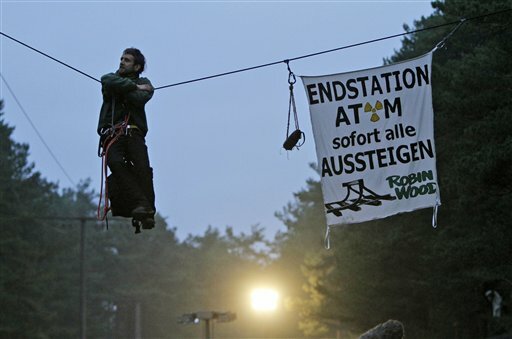 But anti–nuclear protests have been galvanized after German Chancellor Angela Merkel's government recently voted to extend the life of the country's 17 atomic power plants by an average of 12 years. 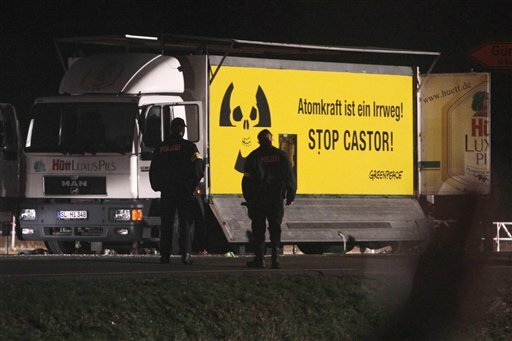 "Whomever extends the time for atomic power plants, must also count on an extended time for atomic waste transports," said Wolfgang Ehmke, a protest spokesman. 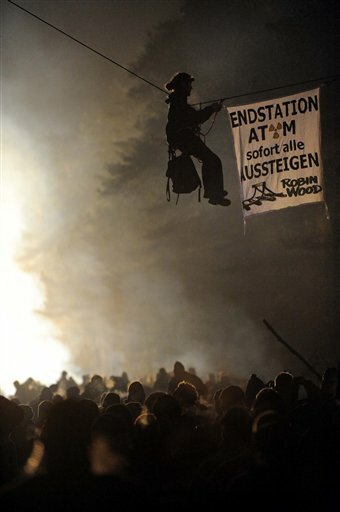 In the largest scuffles, riot police on Sunday tried to stop up to 4,000 protesters making their way through the woods onto train tracks near Dannenberg ahead of the nuclear waste train. Police used water cannons and pepper spray and wrestled with activists to break up the protest, but some still reached the rail line. 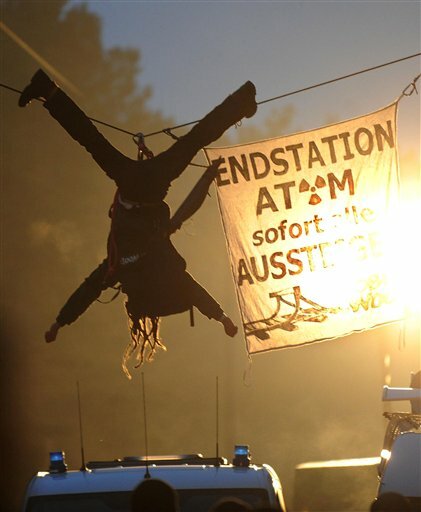 On Saturday, at least 25,000 people — organizers gave the figure as more than 50,000 — demonstrated peacefully outside Dannenberg, the biggest protest ever against the shipments. Germany receives waste shipments roughly every year. The solid nuclear waste in encased in glass that is then encased in 16–inch (40–centimeter) –thick steel containers. A decade ago, a previous German government embarked on plans to phase nuclear power out entirely by 2021 — but that was upended this year by Merkel's government. Germany has no plans to build any new nuclear plants, but Merkel says atomic power is needed to keep energy cheap and available as the country switches to rely more on renewable sources. Activists say neither the waste containers nor the Gorleben site, a temporary storage facility, are safe. 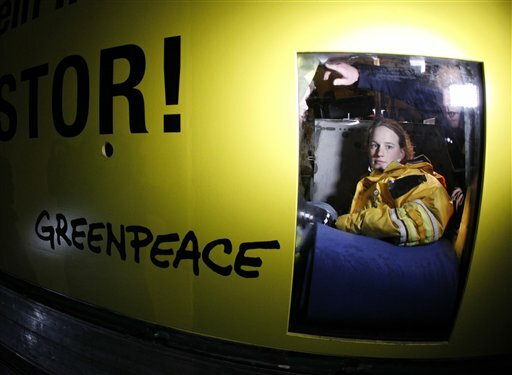 Critics call the nuclear plan a windfall for Germany's biggest energy companies and for the government, which is demanding millions in extra funds from the energy companies to transition to renewable energy.